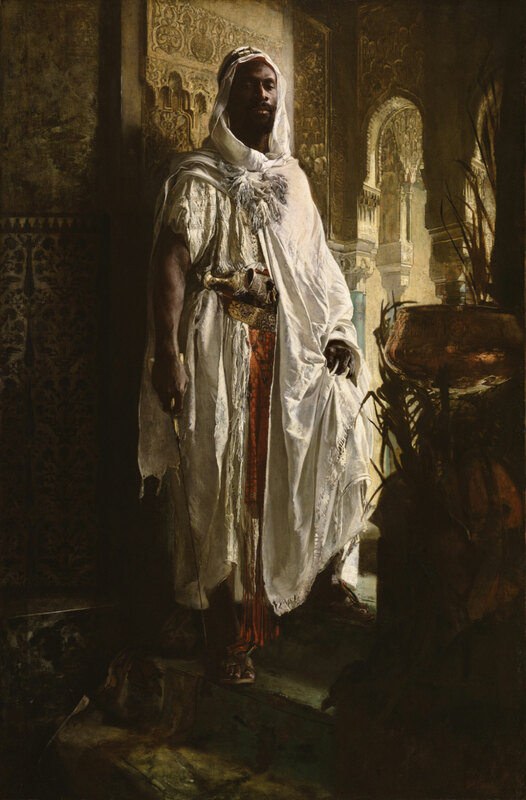 The Moorish Chief: This one blew me away, it glowed, and functioned the way great portraiture should, I could feel the aura of the man, the painting moved the air around it. 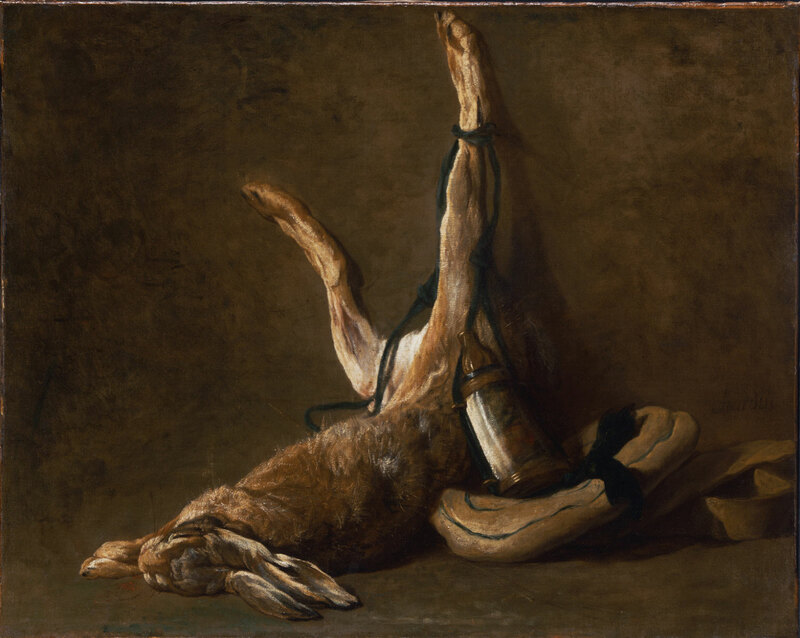 Still Life with a Hare: the brushwork on this one got me, some of the highlights going up the leg and on the ears and head, spare and dry with a quiet sort of confidence – I feel like you can get a sense of what type of person a painter was by their brushwork. 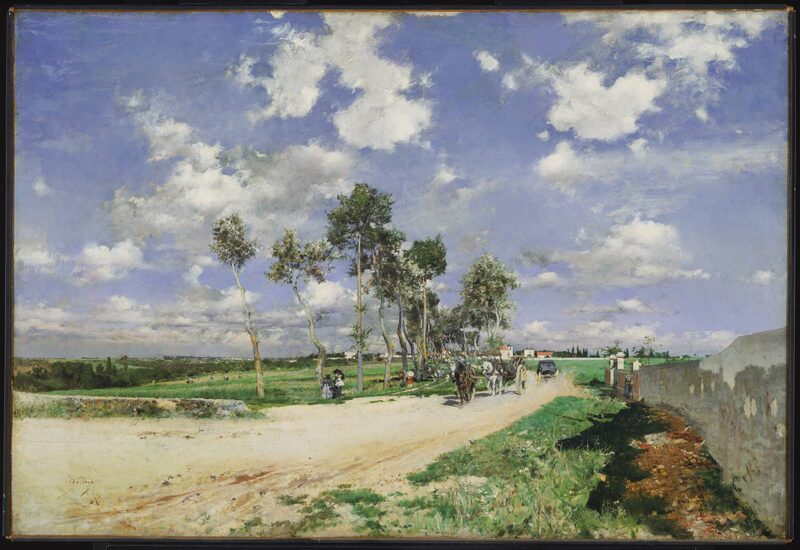 Highway of Combes-la-Ville: These are the best clouds I saw all day. The image doesn’t compare to what they did in person. 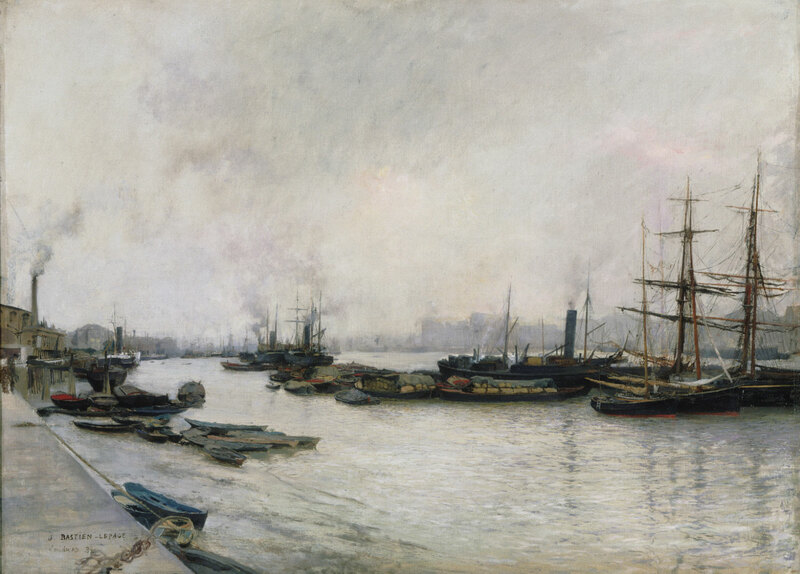 The Thames, London – Always happy to see a Jules Bastien-Lepage painting, the subtle pinks in the sky here were done in a very sensitive way – really admire his brushwork, especially the different types of brushwork working together, the boats, the sky, and the water. 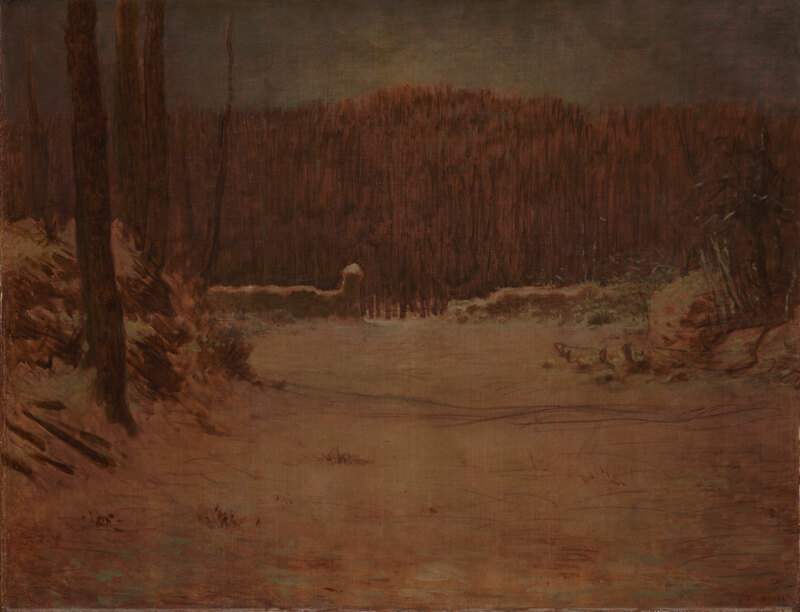 Solitude: Couldn’t believe the way this one somehow captured the last light of day, there is no way the digital image can express the way this painting had such a somber glow, there was light in it, but just barely. Some of the brushstrokes are very gestural as well, at one point I held my hand up and pretended to paint them in front of the canvas, they were that type of free moving lines that allow you to see the movement of the painter, you can kind of see it in the black horizontal wavy lines on the snow here. Achilles Shield: I’m a twombly fan. Had an interesting conversation with the security guard standing next to this one, he pointed out the laser security guarding this painting and asked if I knew why it was there, I said to keep people from getting too close, and he said, because this painting is worth 48 million dollars. I said that was strange and that it’s all make-believe. 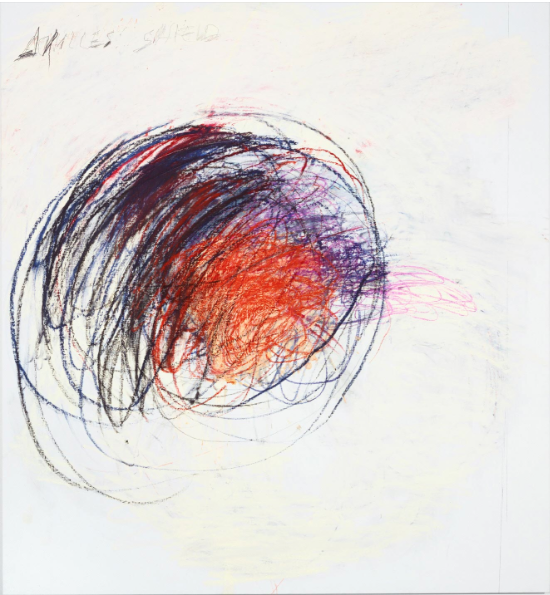 Standing just outside the room of Twombly’s fifty days at Illiam, the security guard seemed to like watching people’s reaction to Twombly, he said most people walk out sort of scratching their heads or with troubled looks. He went on to say that he guards the painting with his life, but that if anyone ever tried to steal it, he would let them take it, he wasn’t about to sacrifice his life for the painting. He must have been slightly troubled by the value of the painting and his being appointed security near it. I felt him watching me the whole time I was in the room before I stepped out and we had this conversation, I even consciously took my hands out of my pockets because I wanted to do what I could to lower any suspicion he might have. He started talking about body guards, and people that do have to take a bullet for people, he mentioned Reagan’s body guard, I think he was amazed by it, the idea, the ability. I drew reference to the shield, and told him he was the shield for the shield. 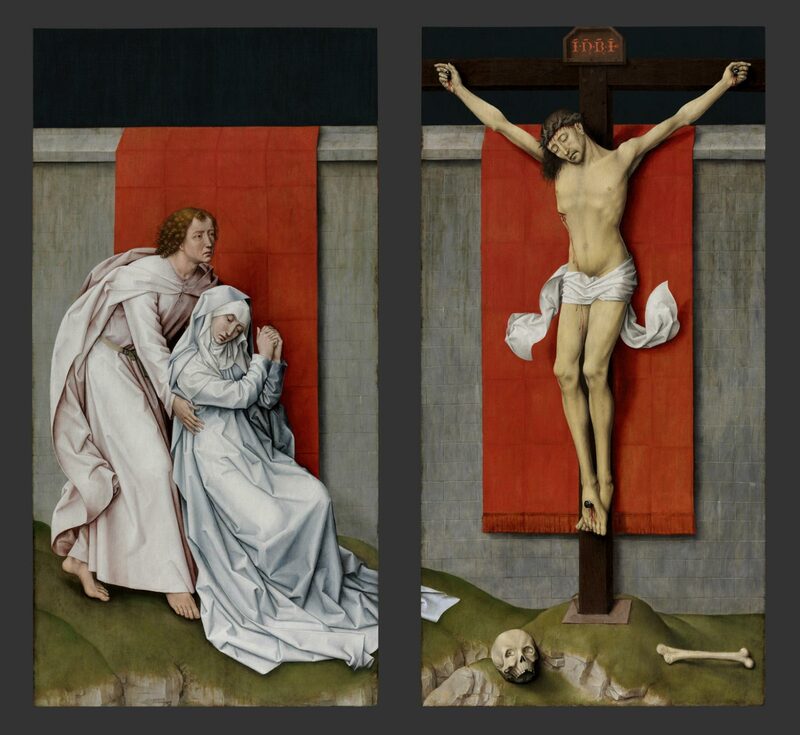 The Crucifixion: The main reason this is a choice for me, is the cloth of the virgin’s robe. Something about the way it was painted was absolutely sublime. The color work as a whole is also pretty nice, the color harmony between the two robe colors and the sort of violence or contrast of the green and red seemed to be a good way to unconsciously start to feel the struggle for grace while faced with suffering and human pain. Though this painting also struck me because of the red rectangles, it seemed somehow to be a connection to the more contemporary Francis Bacon, or perhaps, one of the stylistic things of these religious paintings that Bacon was using and turning on itself. 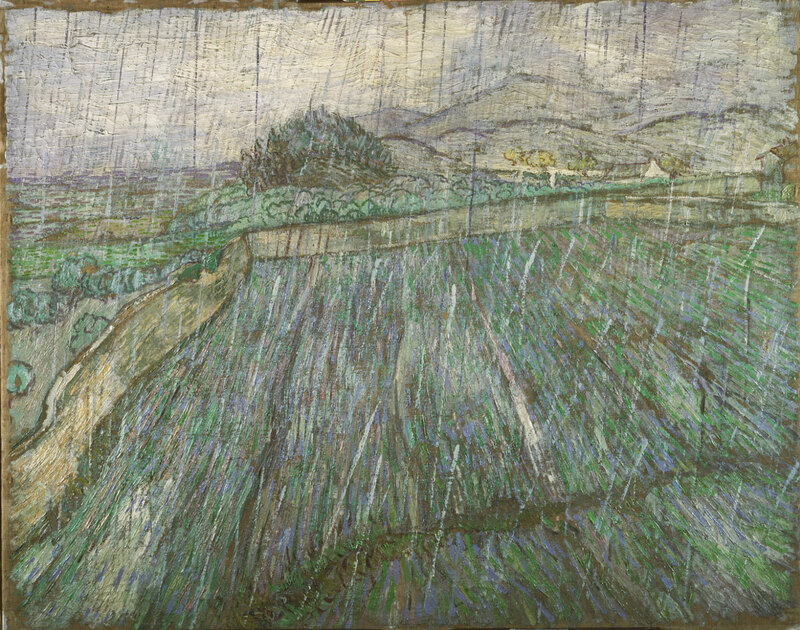 Rain: Last but not least, Vincent’s painting of the rain from the window of the asylum. There were bars on the window that he painted this from, but it was painted without the bars. The tracks in the mud are from where the inmates were marched during daily exercise.